Weslaco Police Chief Stephen Scot Mayer resigned Friday then sent an email to his staff saying he was asked to leave. City Manager Mike Perez, however, said the move was a mutual decision. But the internal email obtained by The Monitor indicated Weslaco Mayor David Suarez requested that the chief resign. Mayer did not return calls for comment about his resignation. His last day will be Dec. 31. Suarez did not immediately respond to a request for comment about the email that indicated he asked for Mayer’s resignation. Meanwhile, Perez said the resignation remains a personnel matter that cannot be discussed in-depth. Mayer, who began with the department in May 2015, was tasked with handling department upgrades, implementing a digital radio system and overseeing the department’s five-year plan, Perez said. “We had a huge reduction in crime during his tenure here,” the city manager said, adding that the manner in which crime was recorded and reported to the FBI contributed to the statistical decline. Mayer’s internal email was peppered with his law enforcement philosophy, referring back to Robert Peel, who helped establish the London Metropolitan Police Force. “The true test of a police department’s efficiency is the absence of crime and disorder and not the physical response to crime and disorder,” Mayer wrote in the email, paraphrasing Peel. 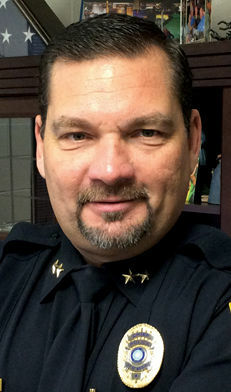 Mayer worked as interim police chief for the Harlingen Police Department prior to joining the Weslaco Police Department. Perez credited Mayer for improvements within the department. Perez said the city will be looking for a chief with a “different style,” but will still look to Mayer for input. The city will begin advertising the position and a new chief could be named as soon as March 2018. District 5 Commissioner Letty Lopez and District 4 Commissioner Jerry Tafolla said Monday that they could not comment on the resignation. “I haven’t spoken to the chief since” he resigned, said District 3 Commissioner Greg Kerr. Kerr declined to elaborate, citing the issue to be a personnel matter. Newly-elected District 3 Commissioner Jose “JP” Rodriguez, who works with law enforcement, did not respond to requests for comment. District 1 Commissioner Leo Munoz and District 6 Commissioner Josh Pedraza also did not return calls for comment on Monday. Perez foresees commissioners discussing the hiring of a new police chief at the next city commission meeting Dec. 19. Assistant Chief Ted Walensky will serve as interim police chief beginning Jan. 1. “I will ask each of you to afford the same level of respect you’ve shown me to whoever is fortunate enough to be your next chief of police,” Mayer said in the email. Details surrounding the city and commission’s new direction and potential qualifications for the job were not available Monday evening. Mayer will be working from home on one last project, according to the email which did not specify details.